← Have You Tried: Fennel? Look Out Tomatoes, Here Comes Watermelon Gazpacho! It probably won’t be a big surprise to hear that as a team we spend a lot of time talking about food. Really, a lot. One thing that we all agree upon is that often times the simplest items come together to create the most extraordinary meals, especially when the ingredients are unbelievably good on their own. 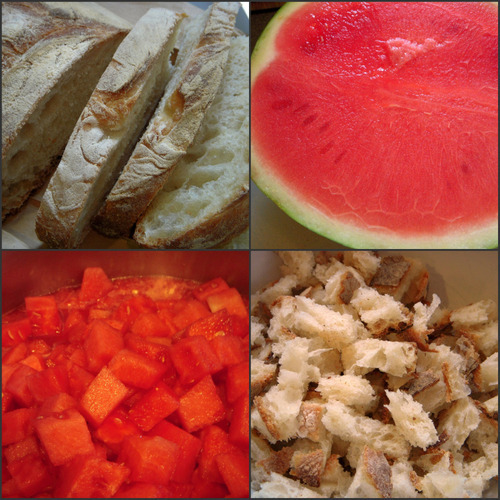 In this case, I’m talking about a watermelon from Goetz Farm and a loaf of bread from Mill Pond Bread that came together into a refreshing watermelon gazpacho. The recipe we used is adapted from San Francisco chef Jason Fox, and can be found here on Tasting Table, a website that “delivers the best of food and drink culture to adventurous eaters everywhere” in a free daily email. 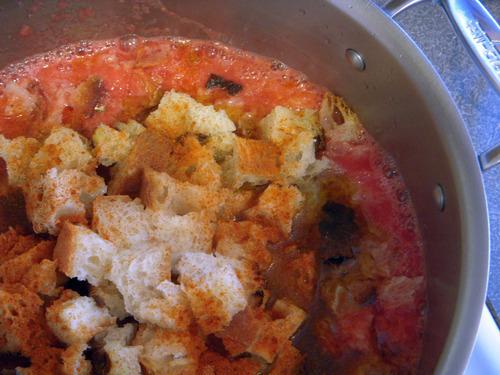 After blending together the watermelon with the bread and a handful of other ingredients (probably already in your pantry), we gave the gazpacho an hour or two to chill. 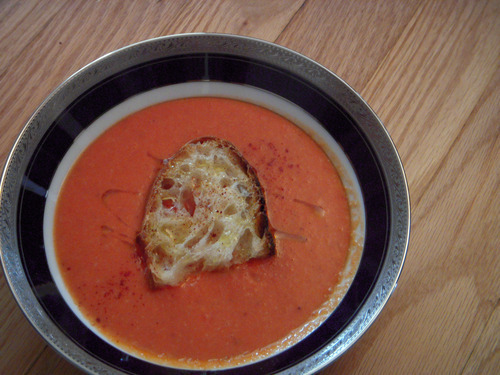 When lunchtime finally rolled around, the soup was topped with an additional slice of bread, a drizzle of olive oil, and a light sprinkle of paprika. Our wait was rewarded with every bite of the tangy and slightly spicy soup. The bread gave the smooth soup a heartiness, and the watermelon was nicely accented with a little tomato juice from the Harvest Kitchen. No question that this will be in heavy rotation this summer in our kitchen! This entry was posted in In the Kitchen (recipes & more) and tagged bread, lindsay jean hard, local food, Real Time Farms, soup, watermelon. Bookmark the permalink.